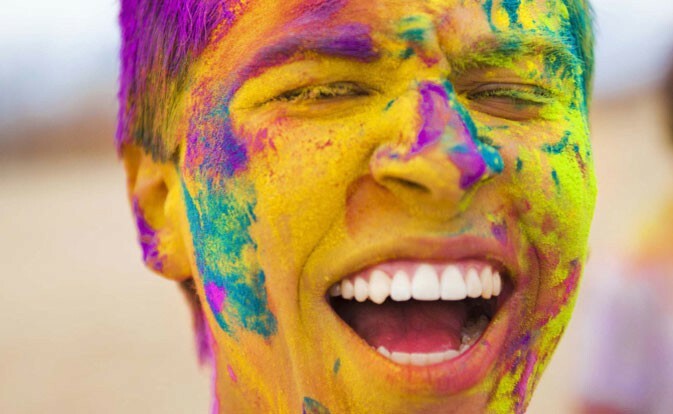 "The Happiest 5K on the Planet"
The Color Run™ is a unique experience focused less on speed and more on crazy color fun with friends and family. 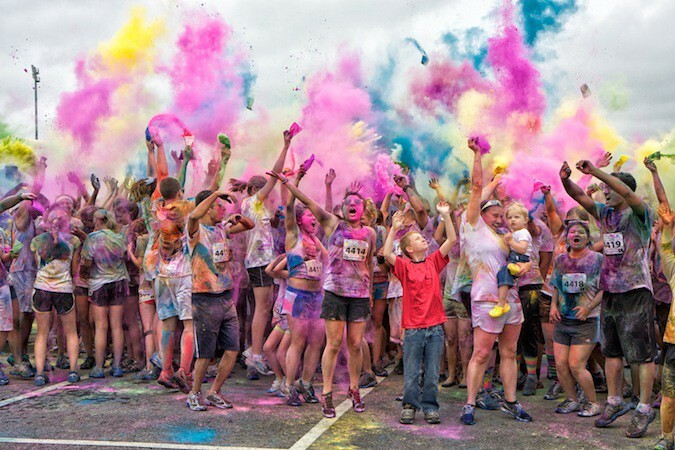 Color runners come from all different ages, shapes, sizes, and speeds; but everyone toeing the start line has a blast. Whether you are a casual morning mall walker or an Olympic athlete, the 3 miles of The Color Run™ course will be the most memorable and colorful run of your life! 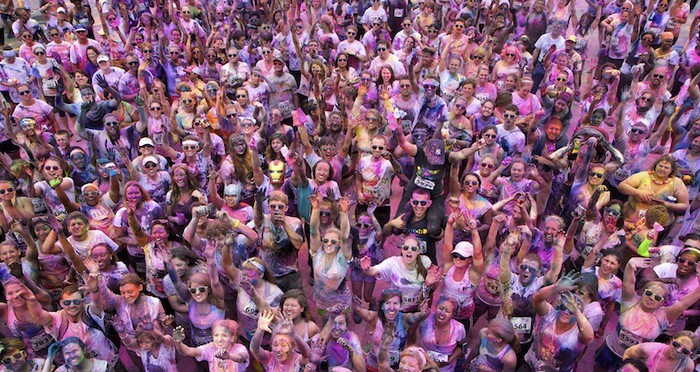 Color Me Run donates to different charities in different cities. In the past Philadelphia Color Me Run race, they donated to the Special Olympics Philadelphia. Special Olympics Philadelphia allows disabled children to have training for a variety of sports. SOPH offers free of charge training for participants and their families to allow everyone the opportunity to experience SOPH. They take donations to help support their program. A participant is able to sign up as a solo runner, walker, or a team of more than four for the race. You can also recieve updates about the race if signing up to their email list. Also, sign up spots are filled up quickly, therefore, you should sign up as soon as possible or get on the VIP list where those participants will be notified as soon was the race opens up for registration. Make sure everyone on your team, if racing with one, has a spot in the race! 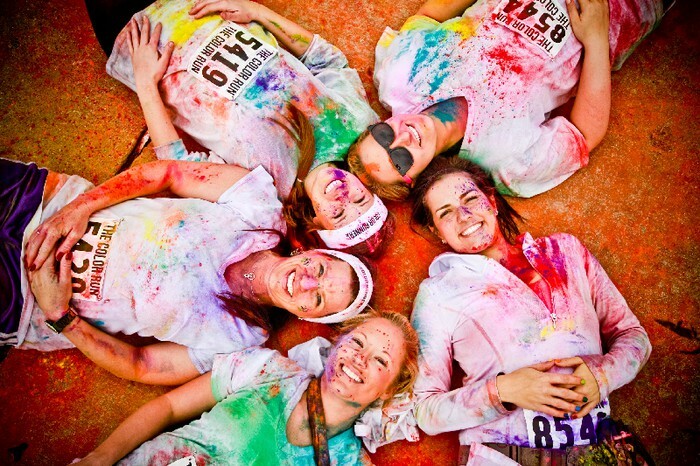 When running the 5k, you will be colored at each kilometer that you reach with a color: yellow, orange, pink, or blue. 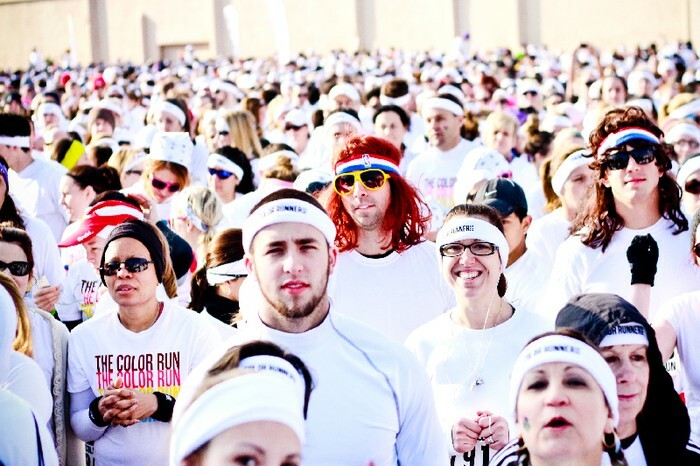 Volunteers, sponsors, and the Color Run staff will help distribute the colors on to you. The color products are 100% natural and safe, and can be eaten if desired. There are three color zones when running, the two outside lanes are the high color lane, and the middle is the low color lane. Also at the end of the race, there is a color explosion for everyone to enjoy. 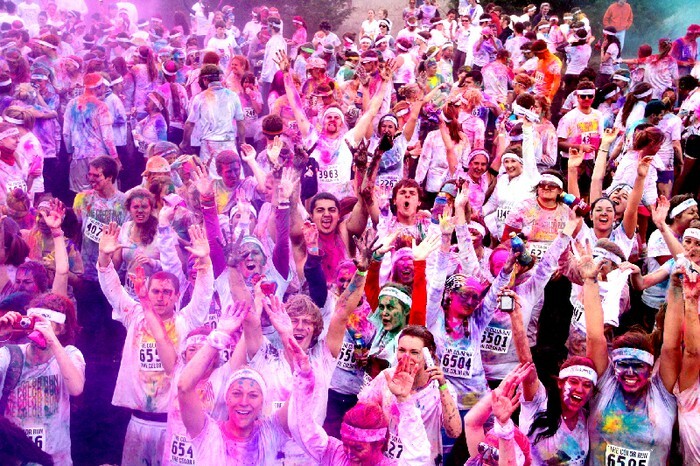 THE COLOR RUN™ - Philadelphia EXPLODES with 26,000 Color Runners™! "No runners were harmed in this finish line Color explosion. We did, however, fine them for having too much fun."